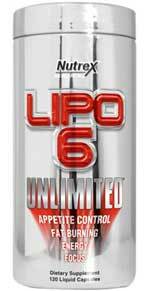 Lipo-6 Unlimited is one of several Lipo-6 blend variations produced by Nutrex, and the company claims it attained its name because it offers unlimited possibilities and helps the user to break through plateaus. The main promised benefits are appetite suppression, boosted energy, fat burning, an empowered mind, and “feel good support”. Each (2 capsule) dose provides 754.4mg of the Lipo-6 Unlimited Proprietary Formula. N-Acetyl Tyrosine: An easily absorbed form of tyrosine (amino acid), that is believed capable of stimulating the adrenal glands and encouraging them to release more hormones—specifically epinephrine (adrenaline) and norepinephrine. It is conceivable that the availability of the extra hormones may boost alertness and energy levels, but supportive studies are lacking. Caffeine anhydrous: Caffeine is famous for its stimulatory abilities. Most people are aware it can boost energy levels and improving concentration, but Caffeine also provides other benefits. It can suppress the appetite and is also believed to help the body burn more calories. Mucuna Pruriens (40% L-Dopa): A plant extract that provides L-Dopa, which is generally believed to be a mood enhancer. Paullinia Cupana (22% Caffeine): More commonly called guarana, paullinia cupana dwarfs coffee’s abilities by providing up to three times as much caffeine, but the caffeine in guarana is released slowly to provide longer-lasting energy. Advantra Z Citrus Aurantium (50% synephrine): A patented bitter orange extract that provides synephrine, which has proven fat burning abilities and can also speed-up the metabolic rate. Dendrobium Nobile (5% Alkaloids): An orchid extract that is claimed to provide fat burning and may also help to improve mental focus. Yohimbe HCI: A plant extract that is often credited with libido boosting powers. Yohimbe also has a growing reputation as a fat burner. Days 1-2: 1 capsule in the morning + 1 in the afternoon. Days 3-4: 2 capsules in the morning + 1 in the afternoon. For best results the capsules should be taken 30 to 60 minutes before a meal. 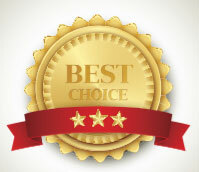 Customers reviews are a mixed bag – here are a few from both sides of the coin. Nutrex state their formulation is not suitable for people who are under 18-years of age or for pregnant or nursing mothers. 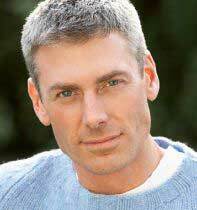 They also warn not to consume other sources of caffeine or synephrine while taking Lipo-6 Unlimited. Medications that contain phenylephrine are also deemed incompatible, as are other stimulants, MAOI inhibitors, antidepressants, aspirin, non-steroidal anti-inflammatory drugs or any product that provides phenylephrine, ephedrine, or pseudoephedrine. Anyone who has an existing health condition should consult a doctor prior to commencing supplementation with Lipo-6 Unlimited and the product must not be taken longer than 8 weeks or within two weeks of any scheduled surgery. Nutrex also states the formulation might contain ingredients that are banned by some sporting associations. The Nutrex website has sales pages for several other Lipo-6 blend variations, but does not have one for Lipo-6 Unlimited. This could indicate the product is being phased out, but several independent online retailers still appear to be marketing Lipo-6 Unlimited. Possible suppliers include Dolphin Fitness, the Vitamin Shoppe, and the Bodybuiliding.com online store. Expect to pay somewhere in the region of $30 for 120 capsules, or around $20 for the 40 capsule pack, but be aware Nutrex does not back any of their products with a guarantee. 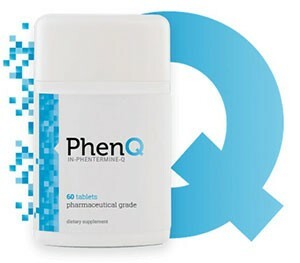 We recommend PhenQ – it is a multi action action fat burner and appetite suppressant. It is ideal to be used as a cutting supplement as well as a general weight loss supplement.